If you're looking for a truly special afternoon tea experience, look no further than The Langham in River North. The River North hotel's second floor lounge, the Pavilion, plays backdrop to a wonderfully relaxing afternoon getaway. The Langham is not just another spot for afternoon tea. The Langham in London claims to have invented the tradition of afternoon tea in 1865. 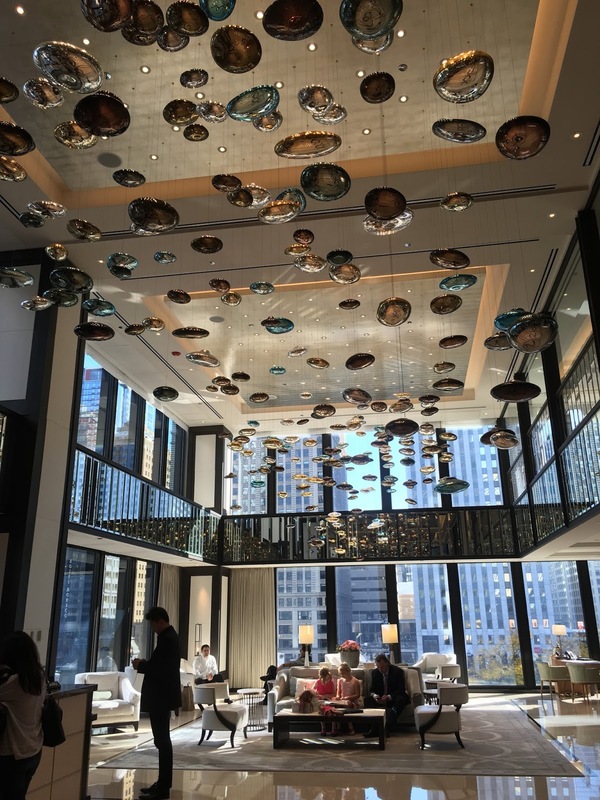 I stopped by with my friend Courtney for tea service on a Saturday afternoon and was immediately impressed with the hotel's decor. The second floor lobby is bright and clean and features a pebble-like hanging mural from the ceiling. To your left is Pavilion, a similarly-decorated salon for afternoon tea. 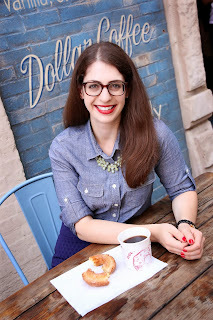 We were seated at a bright window table overlooking the river and Trump Tower across the street. 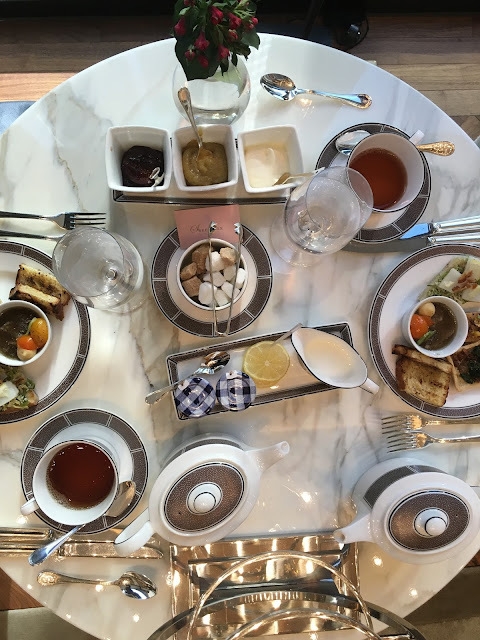 Tea service is $50 per person and includes your choice of two pots of tea, as well as coursed food pairings. Our incredible server explained that we could order one type of tea to pair with the savory course, and another type to pair with the sweet courses. For our first teas, we both chose a stronger, caffeinated option. I chose a black tea, peach with flowers, which was slightly sweet and had a recognizable scent of juicy peaches, as well as marigold flowers. 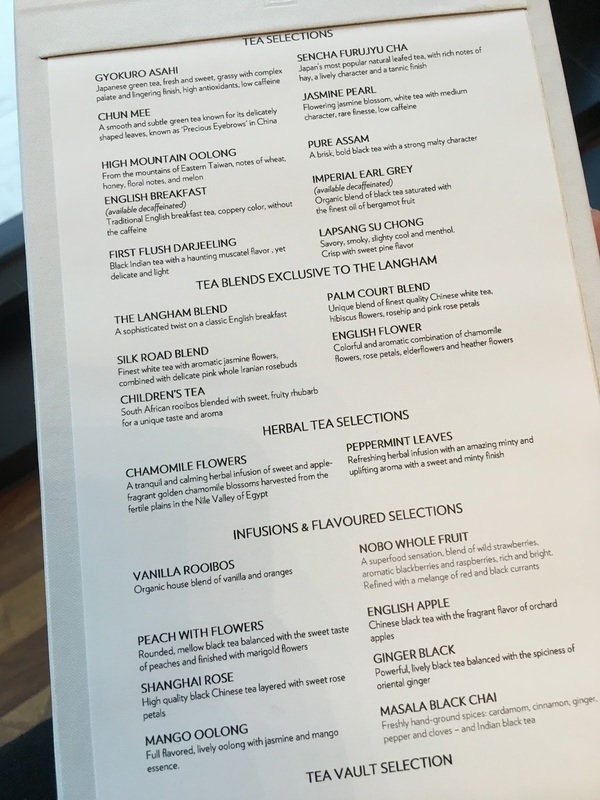 Courtney selected The Langham Blend, a special tea exclusive to The Langham and a take on classic English breakfast tea. The tea menu is quite extensive; you can also add a glass of bubbly if you're in the mood. 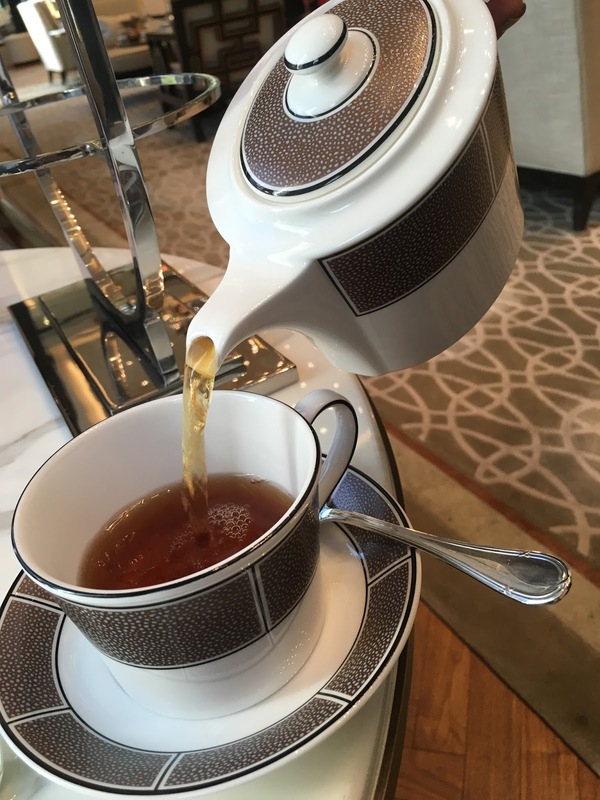 Another server brought our teas in beautiful tea pots made exclusively for The Langham. 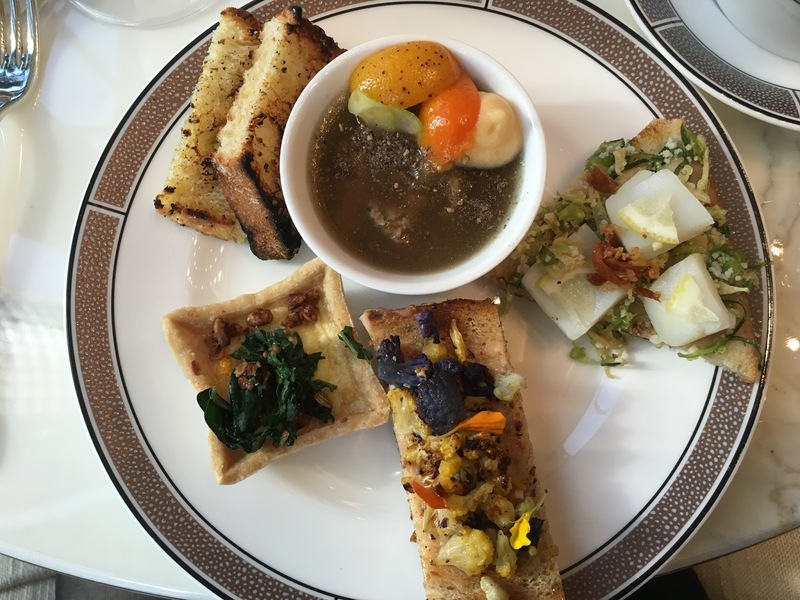 My favorites were the caramelized cauliflower, and butter-poached scallops! After enjoying our first course and teas, we were provided with the tea list again to make our second tea selection. I've enjoyed tea at several locations but never have I gotten the chance to try more than one tea. This was amazing, especially since there are so many delicious-sounding teas it's hard to pick just one. 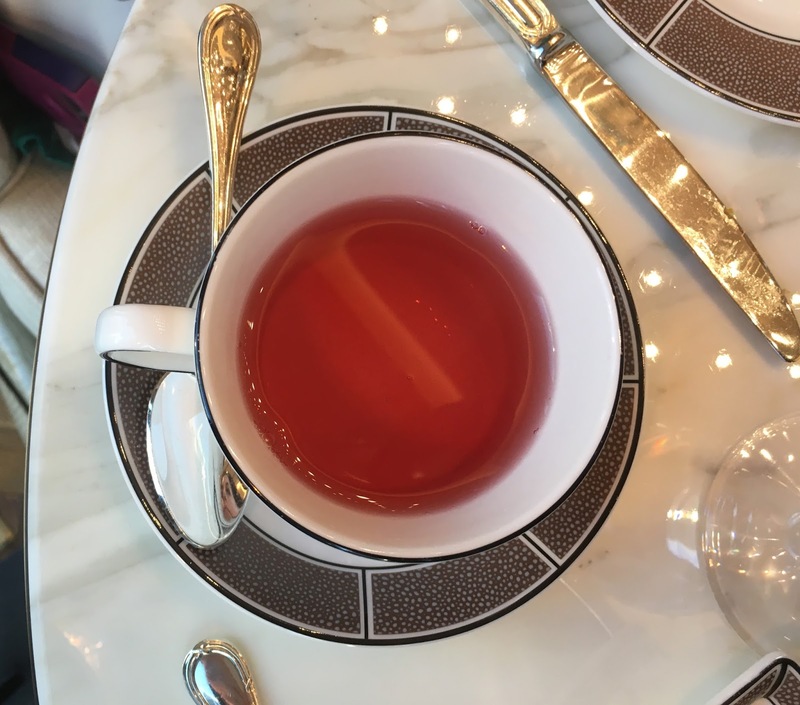 This time, we both went for lighter teas, both exclusive to The Langham. Courtney chose the Palm Court Blend, a Chinese white tea blend with hibiscus, rose hip, and pink rose petals. The hibiscus gave it a beautiful pink hue. I chose the Silk Road Blend, a white tea with jasmine, and pink whole rosebuds. Our remaining two courses were both sweet. One was a plate of mini pastries, and the other, two scones. We both decided to try the seasonal scones first. One was sweet potato, the other caramel apple with cinnamon glaze. 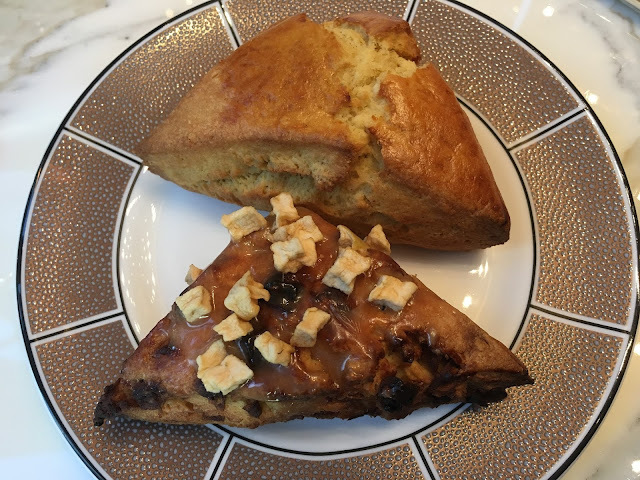 The scones were served with two seasonal spreads that were out-of-this-world delicious, orange-cranberry jam, and bourbon raisin butter. There also was traditional Devonshire clotted cream. I found myself putting the bourbon raisin butter on each and every bite, it was that delicious (I even took some home). Both scones were dense, yet flaky in the middle, and crispy on the outside. Wow were these incredible! The hazelnut pie even had a gold leaf on top! I was too full to finish all of them but our server kindly packed up a full plate of these delicious pastries, along with scones and jams for each of us. Talk about all star service! Not to mention, he asked if we wanted to try a third tea! If our bladders weren't going to bust, we may have taken him up on his offer. 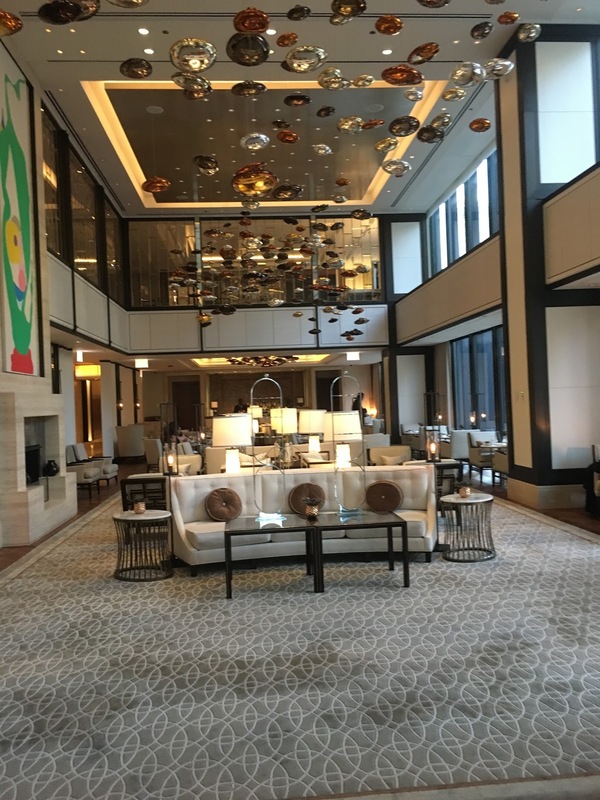 All in all, we were at The Langham for 2.5 hours of sips, sweets, and conversation. It was such a relaxing escape from reality that I could have stayed there all afternoon. I loved the dichotomy between the calm atmosphere inside the Pavilion, and the hustle and bustle of the city directly below us. 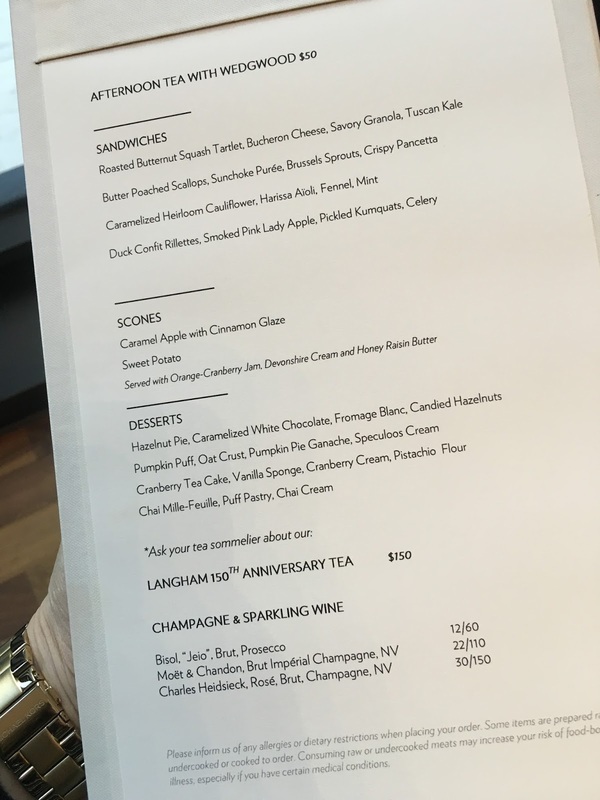 While $50 may sound pricey for tea, considering all of the food and tea, as well as exceptional service, I think it's well worth it. Where else can you try three different teas, let alone exclusive teas from the hotel where it all started? 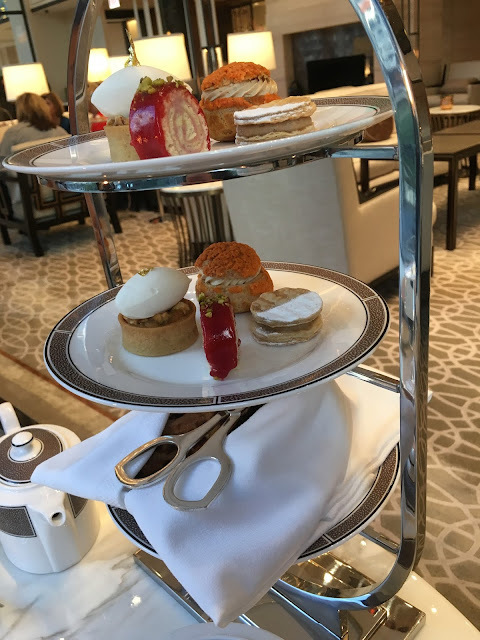 I'm giving afternoon tea at The Langham 4.5 ghosts out of 5 for its stunning Pavilion, incredible tea selections and sweet and savory food pairings, as well as fantastic service! Afternoon tea service is daily at 3pm, 3:30pm or 4pm and reservations can be made by phone or online. I just had lunch at Travelle the other day. Leaving the restaurant, I wandered over to see the menu (and space) for The Langham's tea service. Everything sounded great, but I forgot to remember to look into going here one day. Seeing the pictures and hearing about the options...I think reservations are going to be made sooner rather than later. Thanks for the post!! You have to go! It's so lovely! I recommend getting the fall menu before it's gone! I will visit your website. Checking your every blog and all post very interested. So Sharing everything great. Thank you so much.